3 Bdrm For Rent In Resort-Type Luxury Compound. Townhouse for rent of 400sqm, consisting of 5 bedrooms and 3 bathrooms located at Hoa Hai, Ngu Hanh Son District. Apartment for sale/rent at Vinhomes Metropolis, Ba Dinh, Hanoi. 1BR the Gateway Thao Dien for rent, hight floor. Fully Furnished Serviced Apartment in District 3 for rent. APARTMENT INVESTMENT - TIME NOW 1,096 BILLION / YEAR. Fully-furnished private office for rent. House for rent of 236sqm, consisting of 3 bedrooms and 2 bathrooms located at Hoa Hai, Ngu Hanh Son District. Smart Mezzanine apartment near Han Bridge - A258. 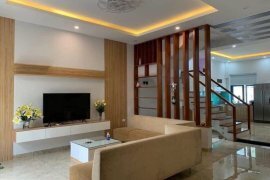 House for rent in City Center, Hồ Chí Minh City..
Diamond Island Bora Bora 23-05. New office / serviced apartment for rent in District 3 HCMC. 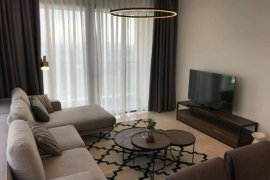 Beautiful modern 2BR unit with views in Thao Dien..
Modern unit on high floor in The Ascent building with beautiful of city. Must check! Reasonable priced. Includes management fee. Commercial Property for Rent in Da Nang city. Modern 2br apartment near Vincom Plaza - A265. 3 bedrooms for rent at Tropic Garden, Thao Dien, District 2. Full furnished, river view. Villa next to RMIT D.7 - 628msq. One bedroom apartment on An Thuong 8 - A194. 2 bedrooms apartment with Han River view. Luxury one bedroom apartment Han riverside. Saigon Pearl Villa for rent 2 floors 5brs 147sqm. Xi Riverview Palace apartment for rent 3BRs 201m2 river view. City Garden apartment for rent Block C 1 bedroom fully furnished. Hello, Please contact me, I am interested in properties for Rent in Vietnam. Best Regards. Dot Property is Vietnam’s leading real estate rental resource, listing 24,549 affordable properties for rent in Vietnam. Properties range from condominiums, houses, townhouses and villas. Rental property listings are provided by Vietnam’s top real estate agents, professionals and private home owners. Find your perfect home by refining your search with the tools provided, Dot Property allows users to filter by price, location and the amount of rooms. You can also create your own rental listing by uploading your property for rent in Vietnam by creating a free account. In addition to Vietnam’s property for rent, Dot Property also hosts thousands of properties for sale, commercial listings and new homes.